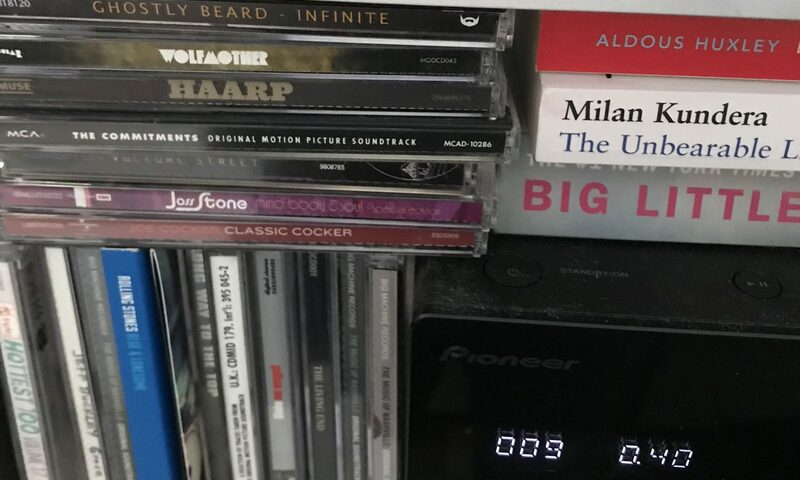 I don’t know why it’s taken me so long to write this one up. 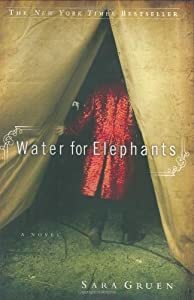 I read Water for Elephants by Sara Gruen several months ago, before seeing the film starring Reese Witherspoon and Robert Pattinson. I was lucky enough to score tickets to the Australian Premier of the film, from one of my good friends, Tara. Where possible I like to read a book, before seeing any film, television or theatrical version of it. I like being able to make up my own mind about what characters and places look like, before seeing whether a director sees them the same way. I have to say that this was one of the rare instances where the film improved upon the book. Although the book was okay, it felt like it was a couple of drafts away from perfection. The process of turning it into a film stripped away unneccesary extra characters and the annoying retirement home subplot of the novel, leaving behind what should have been a great story. Water for Elephants is about a circus traveling through America during the Great Depression. Jacob Jankowski is a veterinary science student at Cornell University, about to take his final exams, when he learns that his parents have died. To add to the blow of loosing his parents, Jacob also learns that their house and all their possessions are now owned by the bank. Penniless, homeless and unemployed, Jacob takes to the rails in search of a living. On boarding the first train that comes along, he finds himself having joined the Benzini Brother Most Spectacular Show on Earth. He also meets Marlena, the beautiful equestrian star, married to the charasmatic, but often cruel animal trainer. As I said this book could have been so much more than it was. The subject matter alone should have been enough. But, for some reason, it just doesn’t quite hit the mark. There is no doubt that Gruen has filled her circus with all kinds of interesting characters, and has drawn an authentic picture of the prohibition era. But, it just misses something. Although not awful, and a reasonable read, I would save this one for when you have nothing else to read. I initially started reading One Day by David Nichols, because after having read a lot of heavy, ‘serious’ literature lately, I wanted something light. I had heard some discussion about it in connection with the film, starring Anne Hathaway and Jim Sturgess. I was intrigued, but suspected that it would just be a bit of light ‘chick-lit’ froth, that would be enjoyable, but hardly ‘life changing’. How wrong I was. This is a wonderful book, and one I suspect will become a well-worn favourite to be returned to regularly like an old friend. Which is appropriate because that is what the book (and the film too I suppose) is all about. The main premise of the book is that we begin with the meeting of the two main characters following their graduation from university, on the 15th July 1988, which is also St Swithin’s Day. We then revisit the two characters every year for the next nearly 20 years, always on the same day. With each chapter, and each passing year, we are quickly become acquainted with what has been happening in their lives over the last twelve months. As I said, I loved this book. The two main characters are great, with great depth. We don’t always ‘like’ them, indeed there are times when the male lead in particular makes me want to throw things at him, but we still retain a desire to keep up with the events of their respective lives, and how their friendship grows and survives through all that life can throw at any relationship. It is also an emotional book, surfing the joys, the sadness and the in-between of these two people.Be warned, you will need to keep the tissues on stand-by on several occasions. But there are also plenty of laugh out loud moments too. Although this will probably appeal more to women than men, it is an excellent book that I would happily recommend it to anyone.